The ancient site of Rosh Pina covers a c. 25-a. area on a limestone spur, 450–500 m above sea level. The spur extends in a southeasterly direction above springs along Naḥal Rosh Pina to the west. The high upper part of the site was settled from the Roman period until 1948. In this area, among the ruins of the Arab village Ja‘unah, lie architectural elements apparently originating in an ancient synagogue that stood nearby, perhaps on a prominent rise. In 1889, G. Schumacher reported that in the lower eastern part of the village he observed remains of an ancient structure which he identified as a bathhouse. 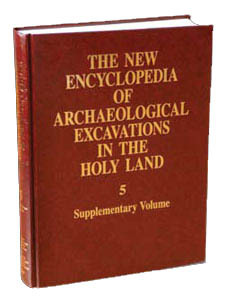 The village was archaeologically surveyed in 1966 by a team led by A. Ronen on behalf of the Israel Department of Antiquities, and again in the 1980s by the Upper Galilee Survey, directed by R. Frankel, as well as by Z. Ilan and Y. Stepansky. All reported structural remains and sherds dating from the Roman period onward. In 1983, Z. Gal proposed, on the basis of Iron Age I sherds he discerned on the site, a connection between the name Ja‘uni and a settlement of the family of Guni son of Naphtali ( Exod. 26:48 ); however, the name of the village appears in Ottoman sources as Ja‘unah rather than Ja‘uni. In 1991, the site was again surveyed by the Eastern Galilee survey crew led by Y. Stepansky in preparation of the Rosh Pina Survey Map sponsored by the Israel Antiquities Authority.